Durga Ashtami during Navratri and is one of the most auspicious days during the nine-day festival. 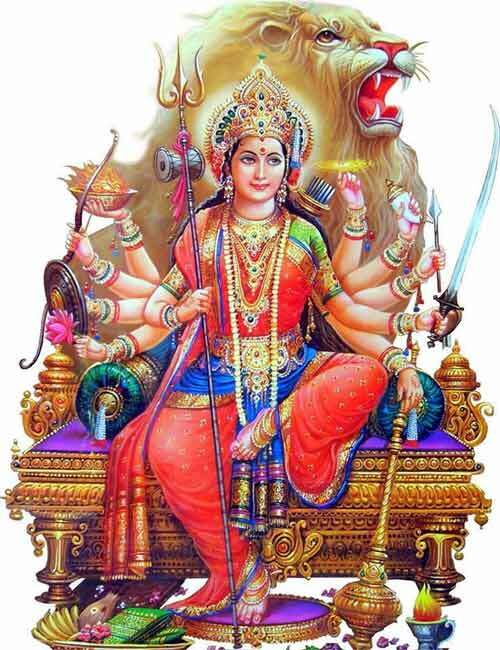 Durga Ashtami 2019 date during Chaitra Navratri is April 13. It is observed on the Shukla Ashtami or the eighth day during the waxing phase of moon in Chaitra Month (March – April). Fasting dedicated to Goddess Durga is observed on the day by a large number of Hindus, especially in North and Eastern parts of India. On the day, Mahashtami, Mahanisha Puja and Annapurna Parikrama held in Shakti Temples in North India. The day is also known as Chaitra Ashtami. Tara Ashtami rituals are also held on the day. Ashokastami is an important ritual held on the day in Orissa. The day is also the most important day during Basanti Puja. Annapurna Puja is also observed on the day.